New Zealand, or Aotearoa (the “land of the long, white cloud”) as it is known by the Maori population, is a land of myth and reality, contrast and contradiction. New Zealand’s culture is rich and diverse because of the numbers of people of different nationalities who have immigrated to the country. 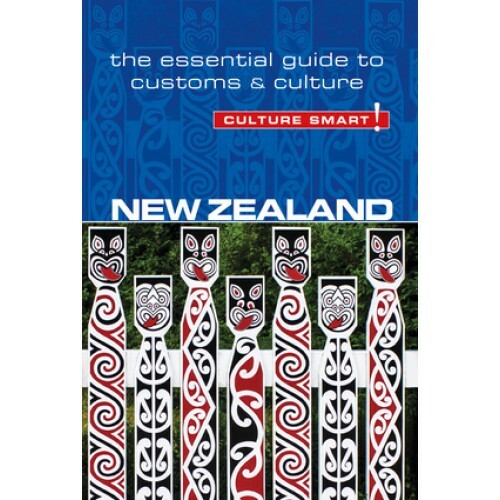 It is still, however, greatly influenced by its Maori heritage, which will be better appreciated if you learn a few key words and understand some of the customs. The New Zealanders are a friendly and welcoming people, who will go the extra mile to help you without expecting anything in return. As a nation of immigrants, they themselves have blended to form a unique persona, the Kiwi, who is used to newcomers and will be happy to accept you at face value. Kiwis are usually polite, gentle (off the playing field), trusting, and honest. They are also unpretentious, and are not impressed by airs and graces, preferring a more down-to-earth attitude. New Zealand’s moderate climate, clean and green environment, reliable public services, and general safety make it an easy country to visit and explore. 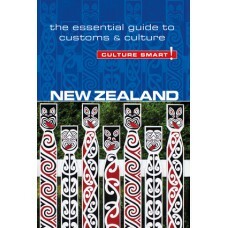 Culture Smart! New Zealand, while providing factual background information on relevant history and political episodes, explores the human dimension, offering practical tips and vital insights into Kiwi customs, values, and attitudes to help deepen your experience of this beautiful country and its fair-minded people.